Songs of Eretz Poetry Review is pleased to present "Mesquite" by Carol Hamilton, Poet of the Month. Ms. Hamilton will also be serving as the guest judge for the Songs of Eretz Poetry Award Contest, which will run from September 1 to October 15, 2015. A detailed biography of Ms. Hamilton may be found here: http://eretzsongs.blogspot.com/2015/08/songs-of-eretz-poetry-review-poet-of.html. The contest guidelines may be previewed here: http://eretzsongs.blogspot.com/p/songs-of-eretz.html. Poet’s Notes: This poem, written many years ago, has a driving pace pushed along by repetition. I guess it might be called a persona poem if a mesquite were a person. In truth, I was living a time of struggle when I wrote it, and it expressed my identification with the amazing lengths desert flora and fauna go to survive. Editor’s Poem: God is everywhere, even in the most inhospitable places, and God will preserve you if you but reach out to Him. What an inspiring message! 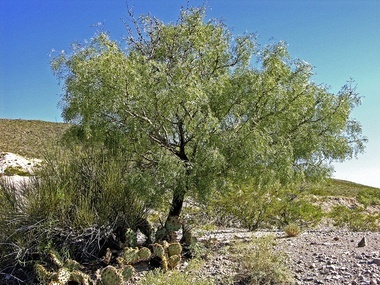 “Mesquite” was originally published in Sisters Today.